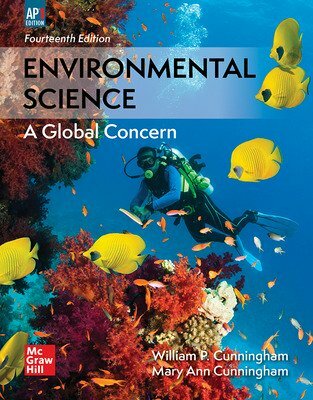 Environmental Science: A Global Concern presents a global view of environmental science in the context of the AP course and exam. 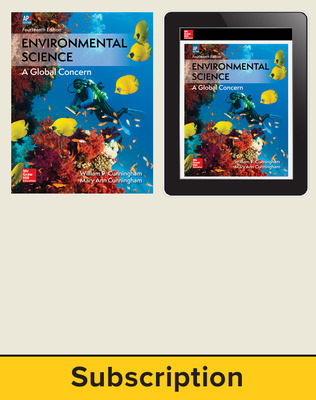 By having students think critically, make clear connections, and apply their learning to real-world situations, the program emphasizes environmental responsibility and global awareness with a clear alignment to the College Board Curriculum Framework for AP Environmental Science. 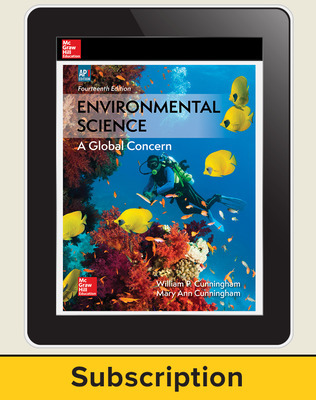 Environmental Science: A Global Concern now includes additional features that emphasize its AP focus. AP Connections on the chapter openers pinpoint the AP topics and key concepts covered in the chapter as well as the location of Skills and Practice to prepare for the AP Exam. Additionally, the AP-style chapter assessments include a vocabulary review, multiple choice questions, and free-response questions. This edition also features Data Analysis Lab and Use the Math features to prepare students for the mathematical requirements of the AP exam. 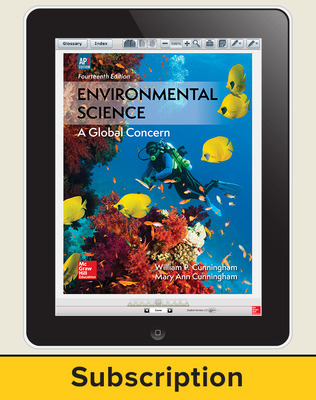 • An AP Teacher’s Manual that correlates each chapter to the APES Curriculum Framework as well as providing a pacing guide and useful activities. • An AP SmartBook® adaptive reading experience, LearnSmart® adaptive study tools, and AP Chapter Banks to help prepare students for the AP Exam.